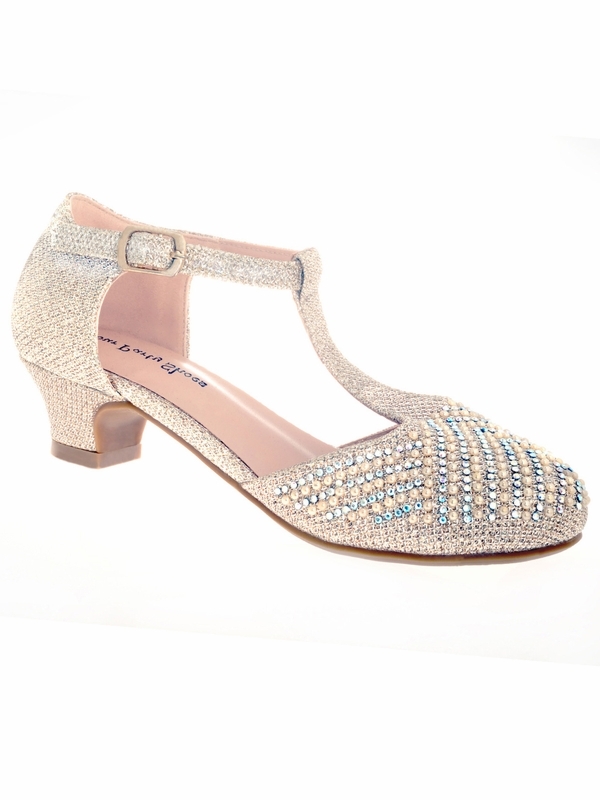 When it's time to glam up your child's cute feet, Your Party Shoes Ellie 814 is the pageant footwear to stun the judges. Sparkling stones and beadwork decorate the closed toe front, while a delicate T-strap joins the buckle ankle strap. 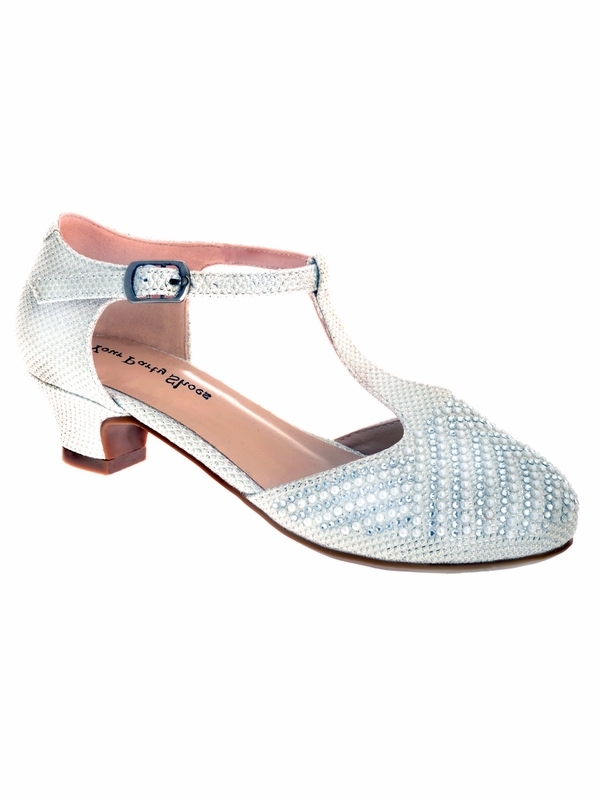 Closed back, one inch heel and non-skid sole give comfort and support as she rocks her walk.